It’s only natural that when the sun shines we feel the need to seek refuge in the nearest beer garden. When the mercury hits its biggest peaks it’s important to keep refreshed, so we felt the need to dive into the best apps to help us meet that goal. Whether you’re a beer drinker, a wine lover or more of a fan of a refreshing summer cocktail – indeed if not all three, we have the tools needed to help you discover the best options in your area. When it comes to summer drinking apps, there are quite a few to go at. Some help you to pick up the ingredients needed to make a summer special. From Margarita’s to refreshing Mojito’s, there are apps that can help you locate the ingredients needed as well as teaching you how to make them. We have focussed on apps that are available on both iOS and Android, as these have the biggest reach and will be useful to the majority of users. We have also looked at social drinking apps, with one app that focusses on Craft Beers. For the seasoned beer lover, there is no better experience then working your way through a craft beer menu in a beer garden, and the app we located lets you share your favourites with your friends. Finally, remember to drink responsibly, especially in this unusual but most welcome summer heat wave. Cheers! Over 9 million downloads tell a compelling story about the Mixology app. With over 8,000 drinks recipies mixed in with some fairly mild profanity and general banter, it is a fun and useful summer drinks app. It’s the number one cocktail app in the iOS app store, and maintains good retention rates amongst users. A nice feature is the local drinks store search, which helps you to locate the ingredients needed to make the cocktail. 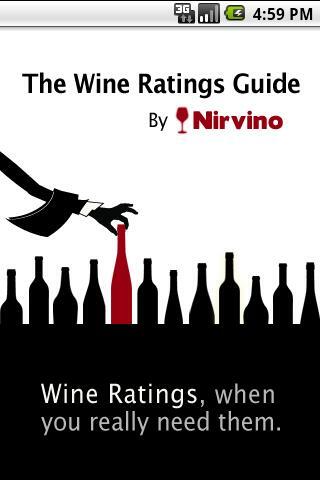 Summer wines, ranging from chilled whites through to tasty Rose’s are always a winner in summer, and that’s where the Wine Ratings App can come in to its own. It boasts of up to two million unique wine ratings, making it the Worlds largest wine database. It allows granular searching for the really keen wine lover – including the likes of grape variety, food pairing and flavour profile. A really nice feature is the apps ability to pair with specific food apps, so that you can match a great new summer wine with the perfect summer food. App number three is another for the wine lover. Rated as the number one wine app by the New York Times, this free app across iOS and Android is well worth a download for any grape lovers. Hello Vino differs from other wine apps by taking you through a painless Q&A process in order to discover the best wine to meet your needs. A really nice feature is its ability to find you the perfect wine based on either food pairings, a recommendation for a special occasion, a wine from a specific region or a wine based on a specific flavour. A really nice feature is its wine label image recognition which talks to the New York Times wine list, meaning you’ll never forget that great wine and will be able to buy it again to enjoy at home. Pintly is perhaps the ultimate beer lovers app. 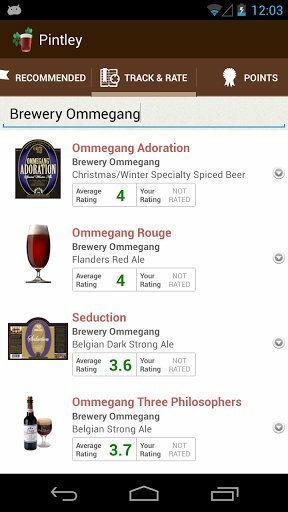 Available across Android and iOS, its unique selling point lies in its ability to help you discover beers that you will love based on your ratings of other beers. In essence, it claims to turn you into a beer expert by utilising its great technology to uncover the subtleties behind the flavours within beer. A really nice feature is its tie in with beer tasting events in your local area, allowing you to put your new-found beer expert status to the test, expanding your knowledge further as you do so. 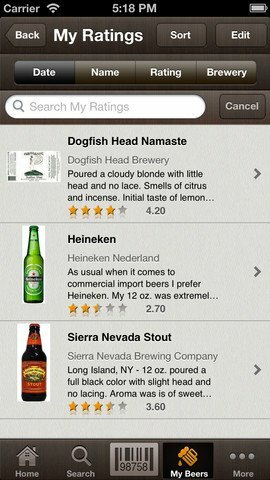 Rate beer app is another for the beer lovers, and its based on a veteran service which has been going since May 2000. Due to its longevity in the game as much as anything, it makes the legitimate claim to be the most visited and widely recognised source of beer information. With hundreds of thousands of members across over one hundred countries, the rate beer app is based on a rich grounding of social information curated over 13 years. This is a paid app, coming in at $3.99 on iOS, but its ability to allow you to record the beers you drink, store reviews and access nerdy beer forums means that it adds value that is not typically available on free drinking apps.